Gareth Hughes opened the discussion by questioning whether the building depicted in Henry Bright’s painting is Gainsborough Old Hall in Lincolnshire or Stiffkey Old Hall in Norfolk. Hughes attached two photographs to support his argument, both of which appeared highly convincing to Andrew Greg (Group Leader, British 19th C, except Portraits). The photographs showed various angles of the scene and provided substantial evidence for discussion. Kieran Owens included a section from The Norfolk Chronicle, dated Saturday 22nd September 1849, which appears to describe the painting, referring to both the artist and the pastoral scene including the cattle, bright lighting and architectural details. Owens suggested that with the combined evidence of the article and photographs, both Museums Sheffield and Art UK should rename the painting Stiffkey Old Hall. 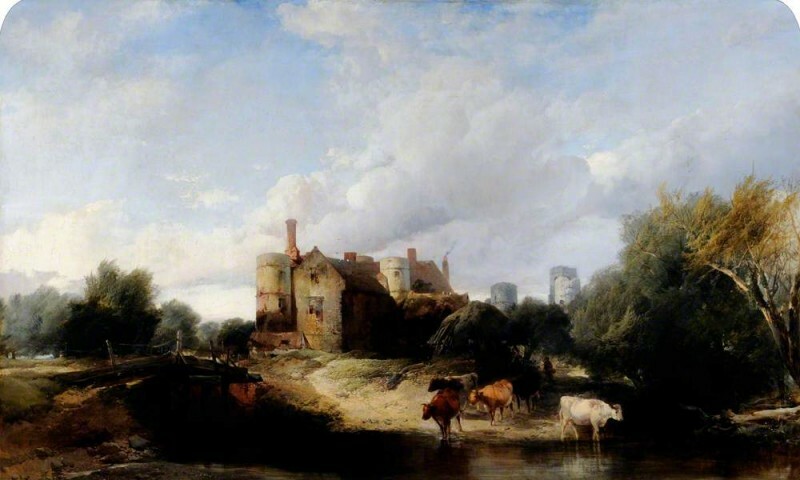 Andrew Greg closed the discussion, confirming Hughes’ original proposal that the painting in fact depicts Stiffkey Old Hall in Norfolk and not Gainsborough Old Hall in Lincolnshire. Is the building in this painting Stiffkey Old Hall?